The health benefits of exercise are well-established for people of all ages. The benefits from eating healthy and having a proper exercise routine are also well-established. However, only recently has research been conducted about which type of exercise best counters the aging process in senior citizens. A new study published in Cell Metabolism by researchers from the Mayo Clinic suggests the answer may be high-intensity interval training (HIIT). HIIT alternates short bursts of intense aerobic activity such as biking or walking with short periods of easing up on the same activity. This type of exercise method avoids the risk of injuries associated with non-stop, repetitive activity. 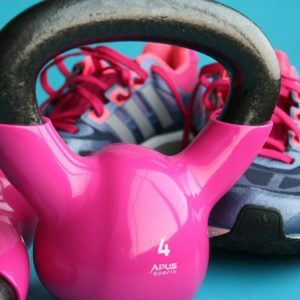 Compared to other types of exercise, it appears to be dramatically more effective at boosting the activity of aging cells and even reversing age-related cellular damage. This exercise also led to improved insulin sensitivity, which is associated with a reduced risk of diabetes. Most experts agree that many older adults can participate in an age-appropriate high-intensity interval training program that takes into account their physical limitations. Older adults are more likely to have an underlying health issue such as osteoporosis, arthritis, diabetes, hypertension or a history heart disease, heart attack, or stroke. So, it’s essential to consult with a primary care provider and take a cardio-stress test before beginning a new exercise program, especially one that involves vigorous activity. Of course, there are other things to keep in mind before starting an HIIT regimen. Slower recovery: As we get older, our ability to recover from workouts is a lot slower. If you put your body through too much, without careful consideration of the ability to recover, you may end up doing more damage. More general aches and pain: With age comes more wisdom but also more aches and pain–such is a sad fact of life. Make sure you’re cleared by your doctor. Warm-ups are important no matter who you are, but this is especially true with an older population. You need to get the muscles, joints, and heart prepared for the workout that you are about to do. There is nothing wrong with a rest period. You are not going to be able to train as hard as a younger person. Rest when you need to. It’s always better to start too easy than to go too hard and face the consequences. You can always up the intensity, but you cannot easily undo a muscle strain. Use common sense. If something hurts or makes you feel uncomfortable, simply don’t do it. Most importantly, consult a professional personal trainer to get you on the right track. With a properly established exercise program you may be able to extend your life-span and feel better while living that life. Keeping yourself active both physically and socially may help you prolong your life expectancy and allow you to have a more productive life.